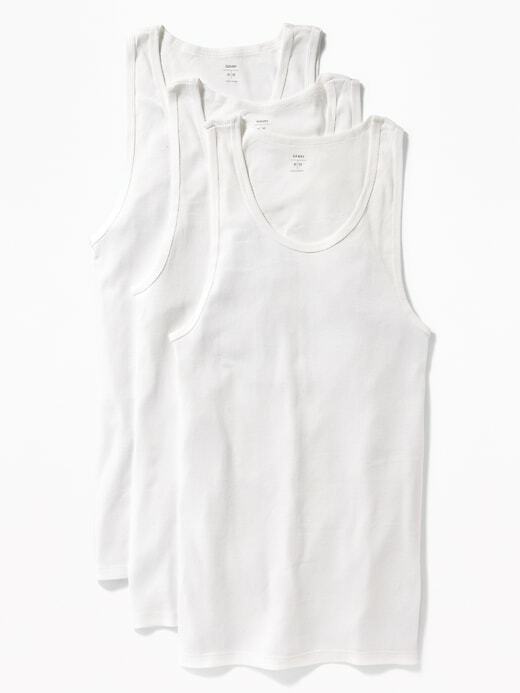 *Pack includes 3 rib-knit tanks. *Go-Dry moisture-wicking technology keeps you dry & comfortable. *Basic Multi Pack only: 100% cotton (solid colors); 60% cotton, 40% polyester (heather gray color only). *Tag-free label inside neck for added comfort.